The thing about Yale is that an applicant could be in the creamy layer of his or her applications pool but still may not stand out. The private university, located in New Haven, Connecticut, and part of the prestigious Ivy League institutions, accepts only 6. 3% of its applications. A candidate needs to have not just talent, but unique talent. Most of the requirements mirror those of other Ivy League schools. Yale looks for candidates who will be able to make the best of the resources the university and its various schools provide. These candidates should also have the “zest to stretch the limits of their talent” and “outstanding public motivation,” wrote former Yale President Kingman Brewster. Applicants should have something larger than themselves and their personal motivations as their primary objective. Yale asks itself two questions when faced with a candidate’s application: whether the person is likely to be able to make the best of the resources made available by the university, and whether he or she will be able to contribute to the Yale community more than other candidates. It is not one thing that matters to Yale. It is a whole lot of small things that add up to a great Yale prospect. Your academic record should be above par if you want Yale to give you a look in. Your high school transcript is of primary importance to Yale. How do you ensure that you can be proud of your school transcript? It is by attending difficult college courses in high school, taking AP courses, and scoring high. You should have a good GPA to save yourself from getting rejected outright. The average GPA for Yale admissions is 4.19. This means you should be at the top of your class; that is, straight As to compete successfully with the other applicants. 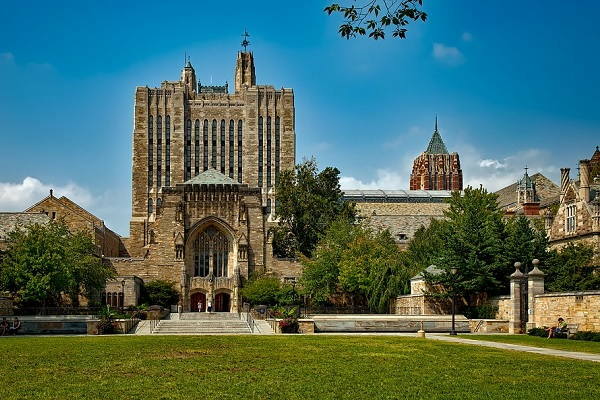 A few Yale schools require SAT/ACT scores. The requirements of schools are different. High SAT and ACT scores are an important part of your Yale application. There are no stated score cut-offs for standardized tests, but there may be hidden ones. The latest test score ranges for enrolled first-years were 720-770 for SAT-Evidenced-based Reading and Writing, 740-790 SAT Math, and 33-35 for ACT composite. If you score high in SAT or ACT tests, you can show that you are good enough for college academics. A high SAT or ACT score may just about compensate a slight drop in your GPA. The average SAT score on the 1600 SAT scale was 1540, and on the old 2400 SAT score, 2265, which are extremely competitive scores. The average ACT score was 33. Some sources say that you shouldn’t bother to retake your SAT or ACT tests if your scores are already somewhere near the recruiting range, and that the time is better spent in improving other areas of your application. But there is also an opinion that suggests retakes to show your interest in joining the university schools. Four to six retake scores can be submitted. According to online sources, Yale has an “all scores” policy, under which all SAT scores of the candidate are required to be submitted. The university can then look at highest officially reported score on each section of the test, the highest SAT subject test score, and the highest ACT plus Writing Composite score. You should also try to do something unique. If your high school offers Asian languages, for example, Japanese or Mandarin, take them in addition to German or French. Join an athletics club. Although Yale does not provide scholarships for athletics, joining a club shows that you have other interests besides academics. Begin a new group in your school that will help the community. This will show that you care for your community and that you have leadership skills. Build a strong record of employment. Doesn’t matter whether it’s a local restaurant, car wash, or retail store. Getting a job and keeping it shows you can handle different responsibilities without impacting your grades. But don’t get fired; if you do, you will earn the blame of not being a responsible person. Yale has to ensure diversity on campus. Mention it if you are from a racial or religious minority. The school has quotas to fill and may take you in. Also mention that you are a legacy student if you are one. Twenty-25 percent legacy students get through. Write an excellent essay to narrate your experiences and how they have impacted you. Say what you are planning to achieve at Yale and what you hope to achieve in the future. Talk honestly about your interests, activities, and experiences. Proofread your essay. Ask for feedback from a teacher or friend. Be sure to read and understand the essay question before trying to answer it. Do not try to fit your entire life story into an essay. Choose a topic about your life that you strongly feel about. In the end, it is your perspective on the topic that matters and not the topic itself. Do not use impressive vocabulary words or complex sentences. The common application essay must be 250 to 600 words and the writing supplement essay 500 words or less. Your record of activities should show that you engage your community beyond your classroom; you take leadership positions when they are available; and you care for what you spend your time doing. As for the interview, it is not needed, but Yale recommends that you take it if given the opportunity. The interviewer will start the interview with questions, but the candidate should be able to engage him or her in a conversation. Try to elaborate your answers instead of just saying a yes or a no. You could also come up with interesting, thoughtful questions. Ask two teachers to give you a personalized letters, preferably teachers from your 11th and 12th standard who have taught you recently. They should know you and be able to talk about you. They don’t have to be teachers in whose classes you scored the highest but teachers who can substantiate your character and intellect. The letters should normally from teachers who have taught you core academic subjects: Math, English, Foreign Language, Social Studies, or Science. Supplementary material to support your application is often superfluous, unless it provides context to a part of your application. A letter from a supervisor of your extracurricular research may throw light on the work you have done. Unnecessary material, on the other hand, may take away some of the positives built by your two recommendation letters. International students follow much of the same procedures that other students follow. However, they need to take care that every material supporting their applications should be in English. Material not in English should be supported by an official translation. The original documents, too, have to be submitted. Some categories of applications get an application fee waiver. Yale confers advanced degrees through its Graduate School of Arts & Sciences (which offers 73 degree programs) and 12 professional schools. The schools are for Architecture, Art, Divinity, Drama, Engineering & Applied Science, Forestry & Environmental Studies, Law, Management, Medicine, Music, Nursing, and Public Health. For the Graduate School of Arts & Sciences, the general requirements include a bachelor’s degree, a statement of purpose, transcripts, results of standardized tests, if available, and three recommenders. The admission procedures to the professional schools are different. But most schools require an online application form in which the applicant will have to fill in details of background, education, test scores, and references; upload transcripts, personal essay, and resume; and pay the application fee. Details are available on the school websites.